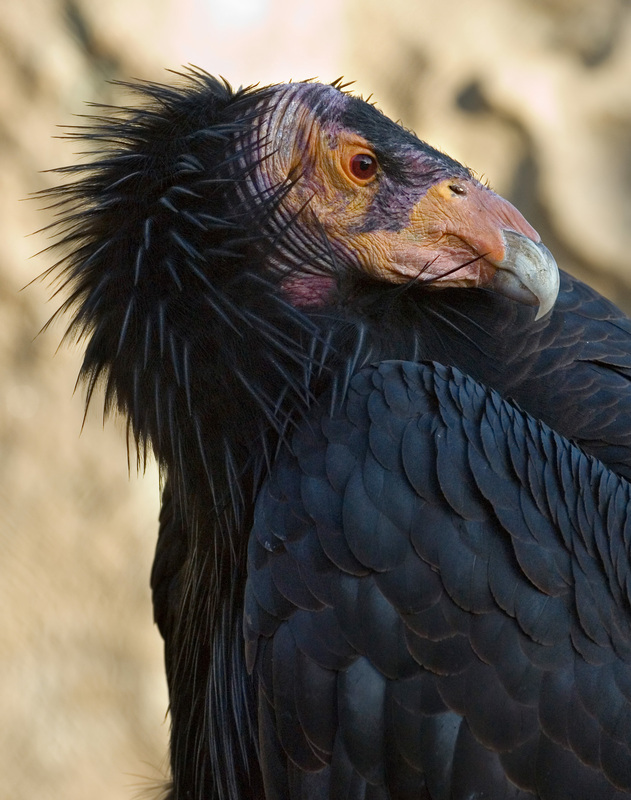 The Californian Condor is the rarest and largest flying bird in North America. They are so rare that each bird wears a tracking beacon and its own number tag. In 1987, there were only twenty two of these magnificent birds left alive, after poaching of their eggs, lead poisoning, and perils such as power lines and habitat destruction destroyed the population. In a desperate attempt to save them, the wild birds were collected for captive breeding, a program so successful that by May 2012, there were 405 condors, 266 of them living in the wild. Condors have an amazing ten-foot (3 m) wingspan and they save precious energy by riding the updrafts from the Grand Canyon walls. They nest in crevices or caves in rock faces. Females lay only one egg every two or three years, and the young birds learn to fly at about six months.